One of the biggest buzzwords for 2018 is blockchain. It was developed for use initially in digital currencies such as Bitcoins (you can buy bitcoin here). The technology’s robust security, transparency, and durability features lend itself into new business use cases. Experience The Skies introduces what the blockchain technology is and what the airline industry has done to embrace this new technology. 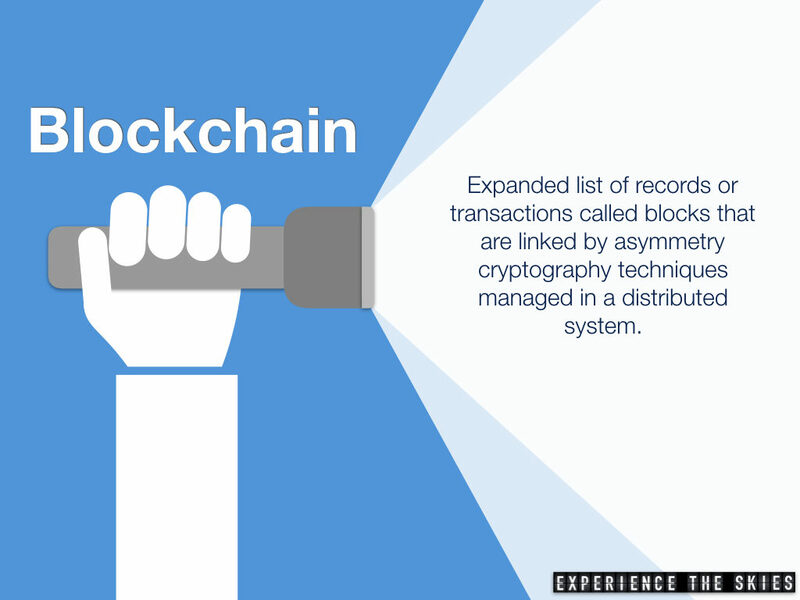 Created in 2008, a blockchain, originally called block chain, is a continuously expanding list of records, called “blocks”. They are linked and secured together by using asymmetry cryptography techniques. Each block typically contains a cryptographic hash of the previous block, a timestamp and transaction data. It is by design that it is inherently resistant to modification of the data. If you want to look find out more about Blockchain, you could look into something like ICX Price, which aims to “hyperconnect the world.” A blockchain database is a digital ledger of transactions recorded. Ownership – Cannot be controlled by a single source / entity as it is managed autonomously by a peer to peer network in a decentralized manner. Creation / Modification – Records/transactions can be updated automatically (smart contract) when they occur and cannot be retroactively modified. This creates a digital audit trail for all modifications. 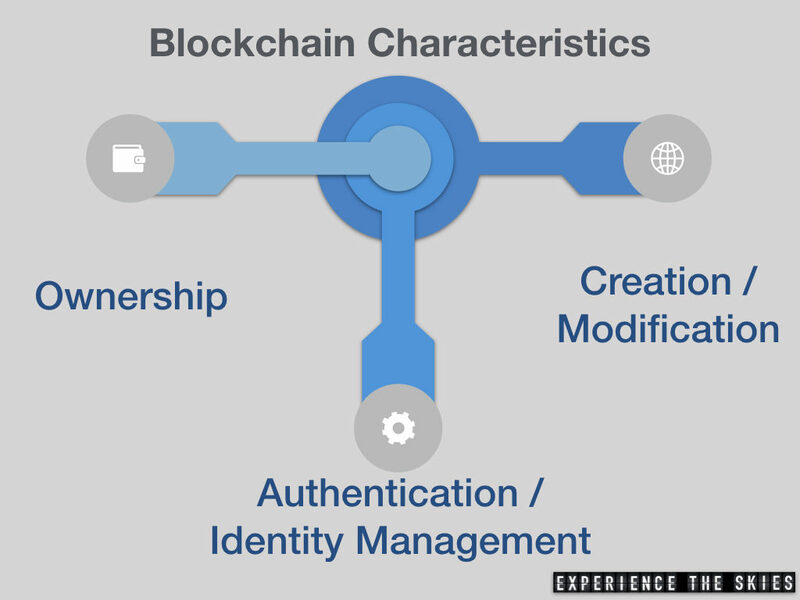 Authentication / Identity Management – All participants are identified and authenticated with their own digital token before they can create or modify records/transactions. This reduces fraudulent participants and transaction creation. The travel industry has not embraced blockchain like banking, healthcare or government. While its future is unknown, there are some early supporters including Emirates, Lufthansa, Singapore Airlines. Emirates – President Sir Tim Clark, was noted recently with Business Insider that, “Blockchain is a revolution within a revolution.” It is not about how the technology would displace jobs but how it would need to the construction on new application and use cased beyond cryptocurrencies. “It’s going to transform everything we do and how you and I interact with each other and things around us, ” he added. Lufthansa Industry Solutions initiated Blockchain for Aviation (BC4A) with the goal to “bring together all fields of expertise and to collectively sound out the potentials of blockchain technology. Potential participants include, for instance, software developers, aircraft manufacturers, MRO service providers, logistics providers, lessors and regulators.” A potential use case may be storage of relevant safety documentations for training, review and auditing across different agencies. This will ensure that the information is updated and available to all parties involved, reduce overhead of storing/updating multiple copies and improving response time on inquiries. Singapore Airlines aims to be the world’s first airline to use blockchain technology within its frequent flyer program, KrisFlyer ®. It is partnering with Microsoft and KPMG Digital Village to develop a new KrisFlyer digital wallet mobile application that would allow members to purchase products and services at participating merchants in Singapore. Winding Tree, a “blockchain-based decentralized open-source travel distribution platform” that aims to make travel cheaper for end users and lowering costs for airlines by cutting out intermediaries within the B2B environment. It is partnering with six Star Alliance member airlines (Lufthansa, Austrian Airlines, Air New Zealand, SWISS Air Lines International, Brussel Airlines and Eurowings) currently to trial and experiment with more seamless automated settlement process. Outside of settlements, the company is exploring other use cases. 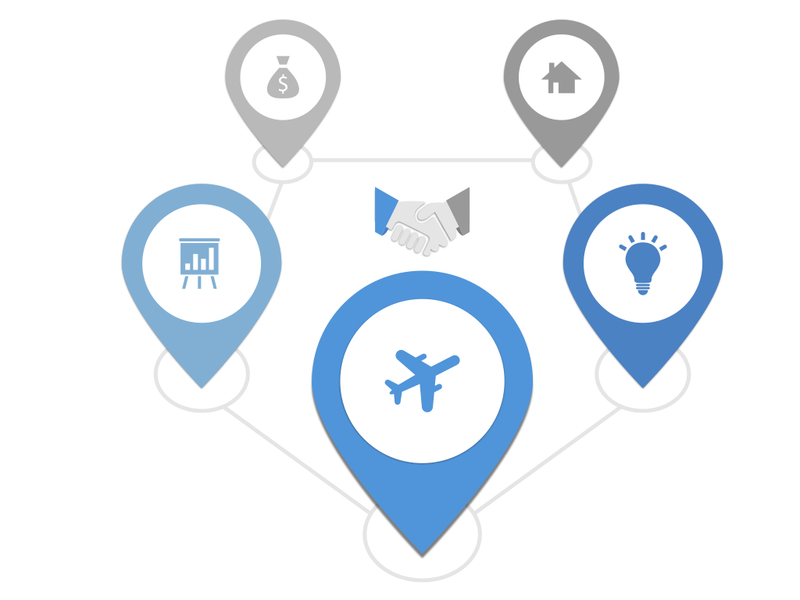 In the next part of the series, we will explore business use cases and obstacles for the blockchain technology in the airline and the larger travel industry at large.